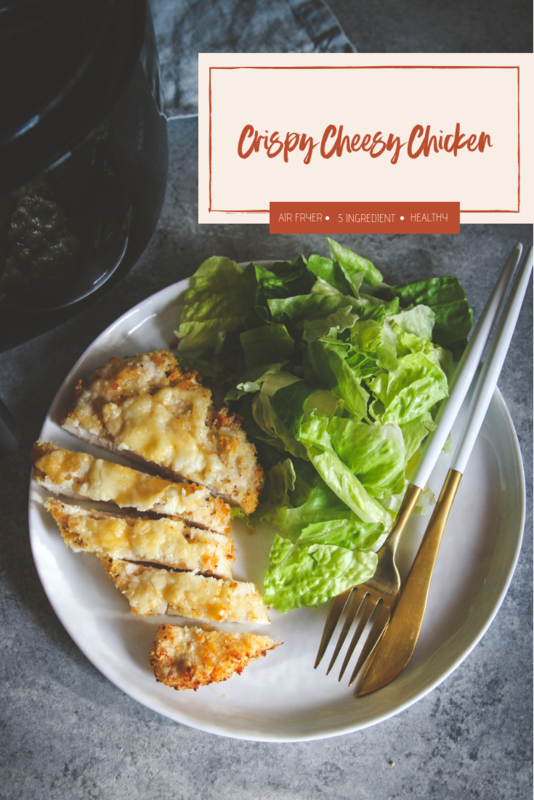 Made with only 5 ingredients, this crispy cheesy chicken is made in an air fryer and is super juicy and tender on the inside, and crispy on the outside (like any good crispy chicken should be!) 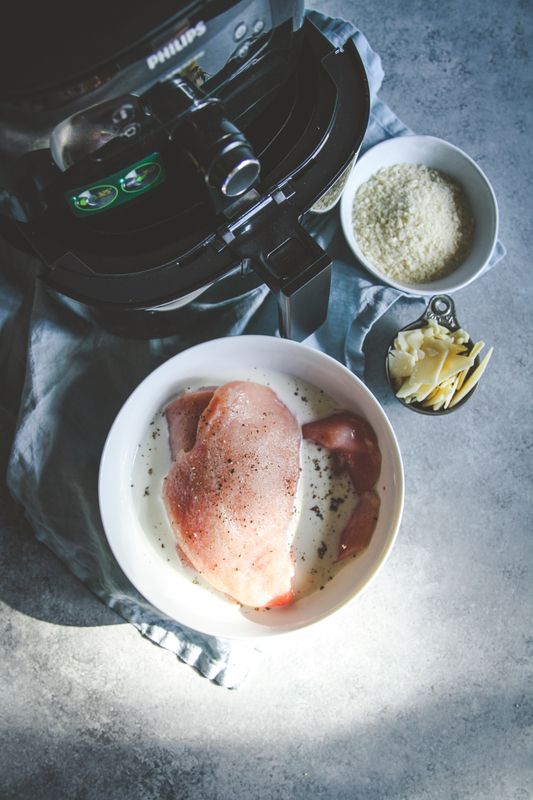 You’re going to love how easy and delicious this crispy cheesy air fryer chicken is, and will be using your air fryer to make this recipe on repeat! I have to tell you, I was preeetttyyy skeptical about using an air fryer. I thought, ya know, I have enough appliances in my kitchen. 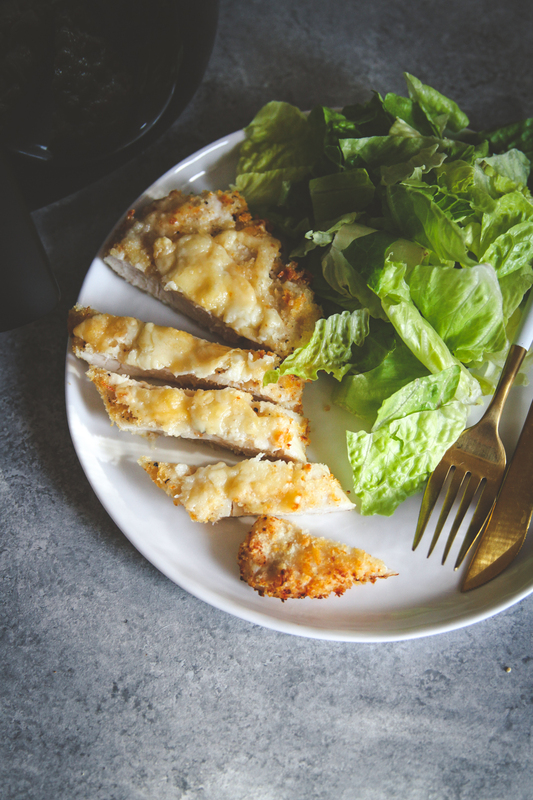 But, after making this crispy cheesy chicken, I’m hooked! It was actually my husband who bout us an air fryer. 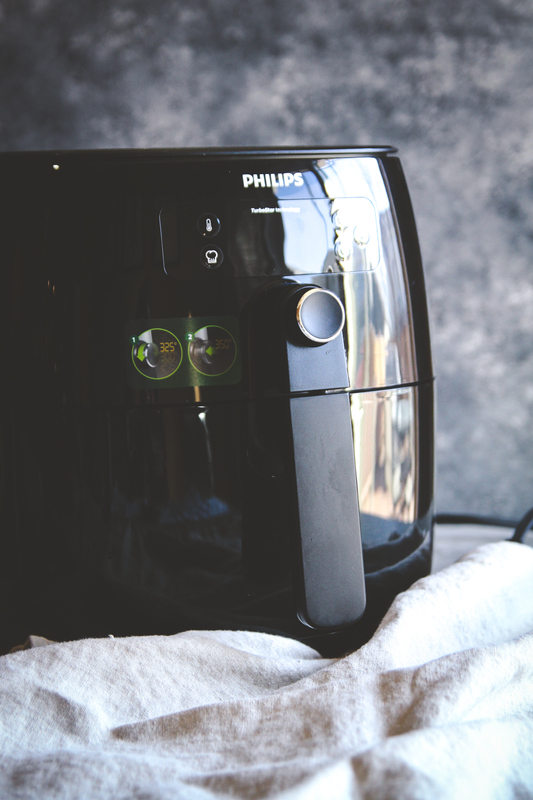 After seeing them all over online and being touted as a healthier alternative for making fried foods, I asked him if he thought we should get one, and the next week (after he did a lot of research) he purchased us the Philips Advance Digital Turbostar Air Fryer. So what exactly is an air fryer? 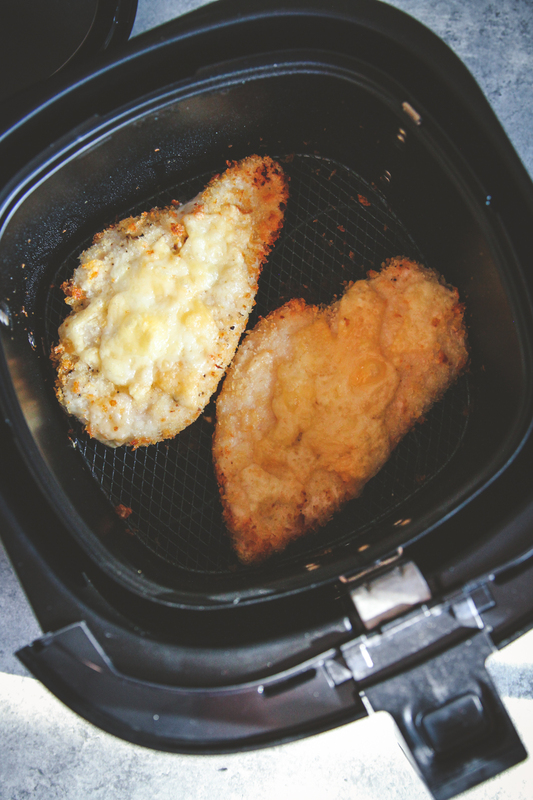 What are the benefits of using an air fryer? An air fryer is an appliance that cooks food by circulating hot air around the food using the convection mechanism. A fan circulates the hot air around the food at high speed, cooking the food and producing a crispy layer (thank you for the definition of an air fryer wikipedia). Traditionally, when frying food, food is submerged into oil. The air fryer works by coating the food in a thin layer of oil while circulating the heat, and uses so much less oil (80% less!) than traditional deep-fryer methods. Cons of using an air fryer? The only con I found about an air fryer is that the frying basket was so much smaller than I thought it would be! Since you don’t want to overcrowd the basket, you can only get two chicken breasts in (or 4 if you cut them in half). So I ended up making these chicken breasts in two batches. But because the cooking time is so quick (only takes about 10 minutes total!) so in the meantime you can put together a quick salad. 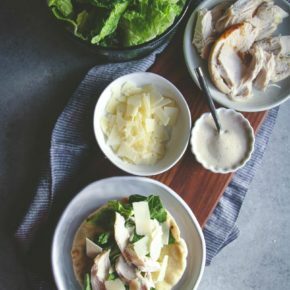 If you’re looking for a stovetop version of a chicken salad, I’d suggest this recipe for crispy chicken and arugula salad. Preheat your air fryer to 400 degrees. Spray the cooking basket lightly with cooking spray. In a large bowl place the milk and chicken breasts. Sprinkle in a generous pinch of salt and freshly ground pepper. Allow to marinate in the milk for 10 minutes. 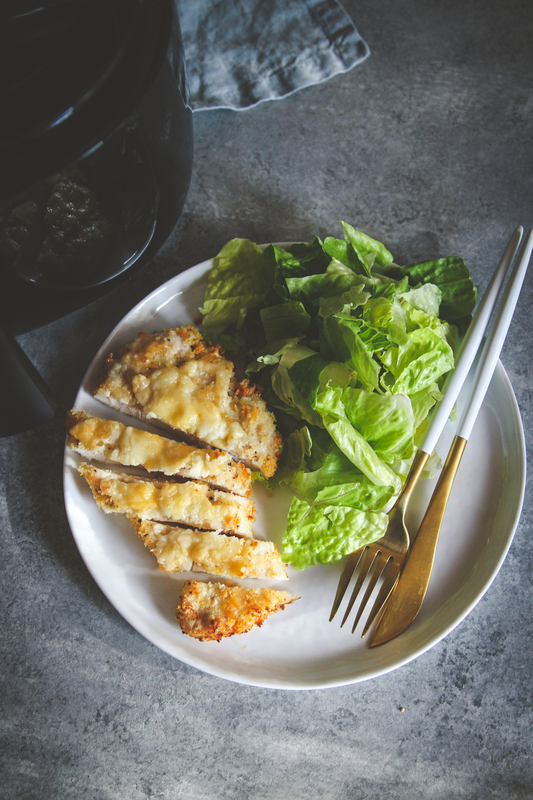 In a shallow bowl combine panko bread crumbs and shaved cheese. 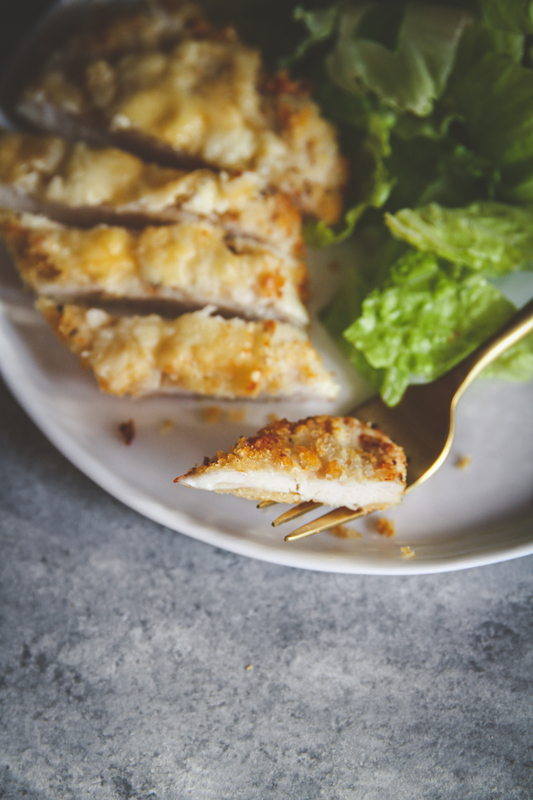 Dredge chicken breasts through panko and cheese mixture (press the mixture on top of the chicken generously) and place in the air fryer basket. Make sure that the basket is not overcrowded. I fit 2 chicken breasts in the basket, so I did this in two batches. Spray the top of the chicken lightly with cooking spray (this 'locks on' the cheesy bread crumb topping). Cook for 8 minutes, flipping the chicken breasts halfway through. Disclaimer: some of the above links are affiliate links, if you purchase through the links at no cost to you, I will earn a few pennies. 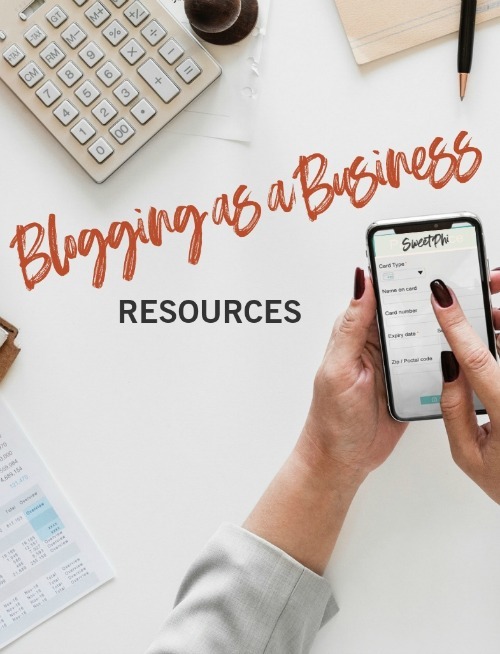 As always, all opinions are mind alone, thank you for supporting the brands and products I love that make the Sweetphi blog possible. You’re welcome, so glad you liked it! Did your husband research the Gowise and the Nuwave as well as the Phillips model? 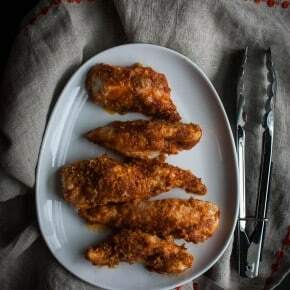 I love my air fryer- I have “The Big Boss” and we do Chicken Wings a lot they come out so crispy and juicy – I change the seasoning on them each time.. 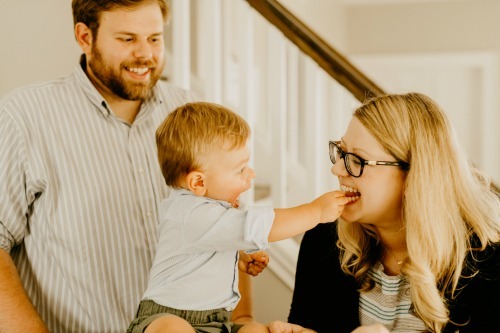 Thank you for sharing this sir fryer recipe – which I will be trying out.. and Congratulations on your announcement of expecting “twins” and one of each.. Thank you so much for your kind words! I think you’ll love this recipe! !